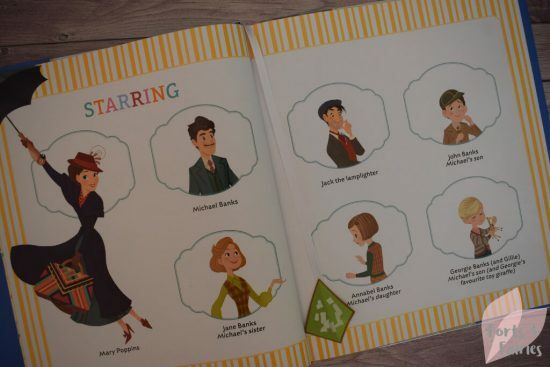 If you or your children enjoyed watching the new Mary Poppins Returns film, then you should check out the new Mary Poppins Returns Storybook that is now available. The characters are introduced at the beginning of the book, and if your children have seen the film they will recognise them. 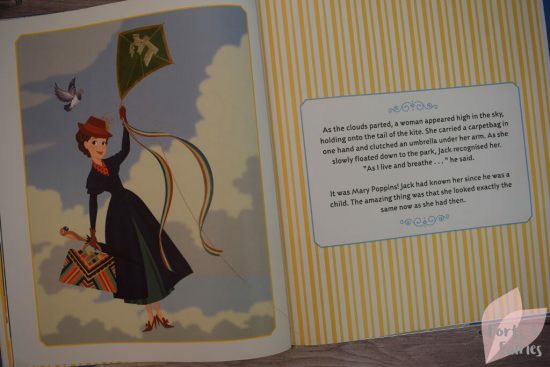 This hardback book is illustrated with brightly coloured pictures and the pages are also decorated with different backgrounds such as kites and umbrellas which tie in nicely with the Mary Poppins theme. This new storybook follows the same story of the film, so its set 24 years after the original Mary Poppins film, and finds the Banks family still living at 17 Cherry Tree Lane. The famous nanny returns to help with the Banks children once again. She had looked after Michael and Jane when they were younger, and now returns to assist the next generation of the Banks family who are floundering after Michael’s wife passes away and leaves him to juggle being a single parent to three children and the financial strains of living in London during the 1930’s Depression. 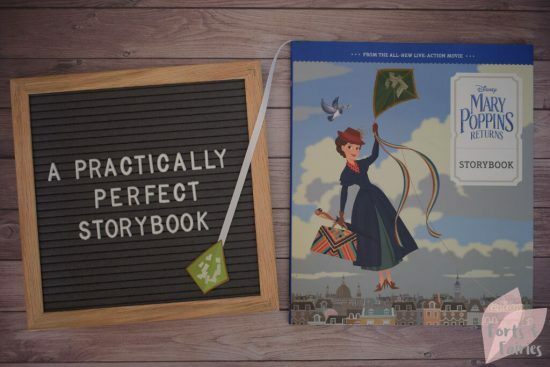 Fans of the movie will love adding this Mary Poppins Returns Storybook to their library, and it’s a wonderful way to introduce your children to Mary Poppins too. Mary Poppins Returns Storybook is available in hardback from book stores and online retailers for a recommended retail price of R180. Thanks to Penguin Random House for adding Mary Poppins to our bookshelf.